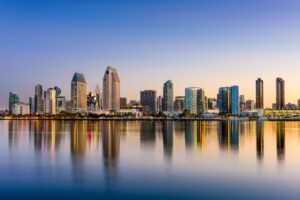 ASTRO 2017, the annual meeting that gathers leading medical physicists in the field of radiation oncology, took place this past month from the 24th to the 27th in San Diego. The best and brightest in the field meet each year at ASTRO to discuss advancements in the field in treatment, as well as in patient care and comfort. At ASTRO, physicists and therapists discussed the latest technology, particularly the advancements in digital technology that have helped to improve the efficiency and effectiveness of treatments. With exhibitors demonstrating their best and newest technologies, and educational sessions presenting new thinking and developments, ASTRO 2017 was an excellent opportunity to become immersed in everything happening now in the field of radiation oncology. MRI-guided radiation treatments were a major trend at ASTRO, as the newest MRI technology now enables integration with other treatments to provide more accurate results. Precise treatment is more consistent with an MRI’s soft-tissue resolution, a development which will help to increase overall reliability of radiation therapy. The MRI-guided treatment demonstrations on display at ASTRO showed great promise for this important advancement. In our exhibit at ASTRO 2017, Aktina showed our Senoview 2 prone breast board to convention attendees. It was an excellent opportunity for us to get direct insight from the attendees about how they are using Senoview in the field, along with their thoughts on any new or different features they would find useful. Seeing technological developments and networking with the industry community, were all highlights of this year’s meeting at ASTRO 2017. We look forward to seeing you in San Antonio next year for ASTRO 2018!